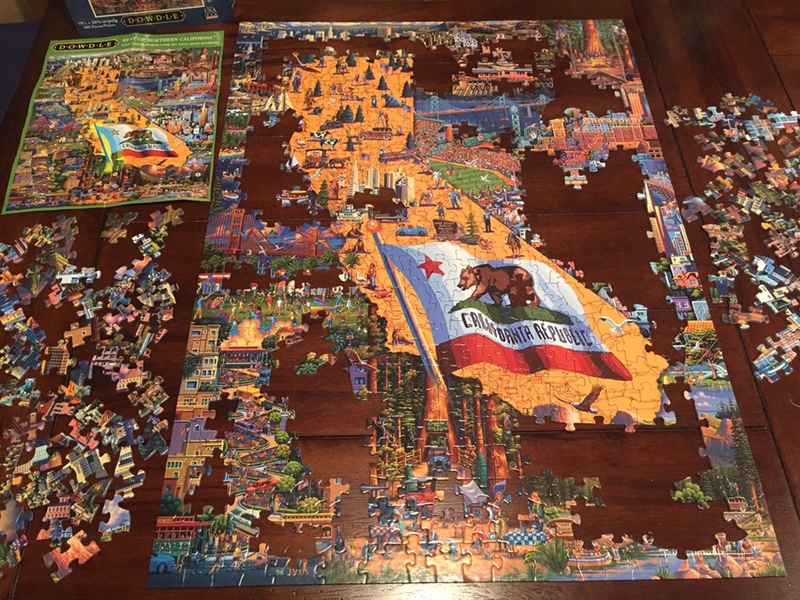 Mama and I have been putting together a puzzle featuring Northern California landmarks. Puzzling is a great brain exercise and we enjoyed methodically assembling the border together before moving to the insides. We’re not quite finished, but Mama and I had such fun that it had to be today’s #OneGoodThing! Day 107 of 365. And Day 838 in a row (here’s the first 366 & the following 365)!